When GM first slapped a Cadillac face on its popular Tahoe/Yukon, it created an ostentatious status symbol in the long tradition of Cadillac. The second generation is much different story. Improvements in finish, exterior and interior styling are more befitting of a vehicle commanding a premium price. 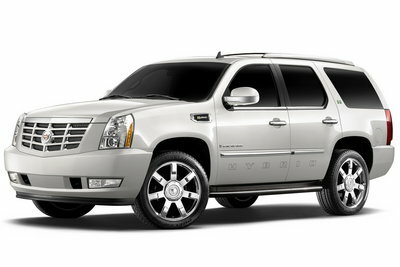 The Escalade is powered by a 400hp, 6.2L V8 mated to a six-speed automatic transmission. If the chrome and 5800 lb curb weight don't make a big enough impression, 22 inch wheels are available as an option.